You are at:Home»Jingkids International School Expo»Location Matters: Does Distance to School Factor in When Picking a School? When picking a school, I’m reminded by the opening monologue by House of Cards’ Frank Underwood, “location, location, location!” A school’s location can sometimes play a vital role in the family picking their preferred school. In the lead up to the 7th Beijing International School Expo 2017 (BISE 2017) we spoke to families from the Springboard Bilingual International School (SIBS) and Yew Chung International School of Beijing (YCIS Beijing) who share with us their commuting account. SIBS parent, Lily Xu, Chinese, is a stay-at-home mom, and her husband runs his own wooden products company. 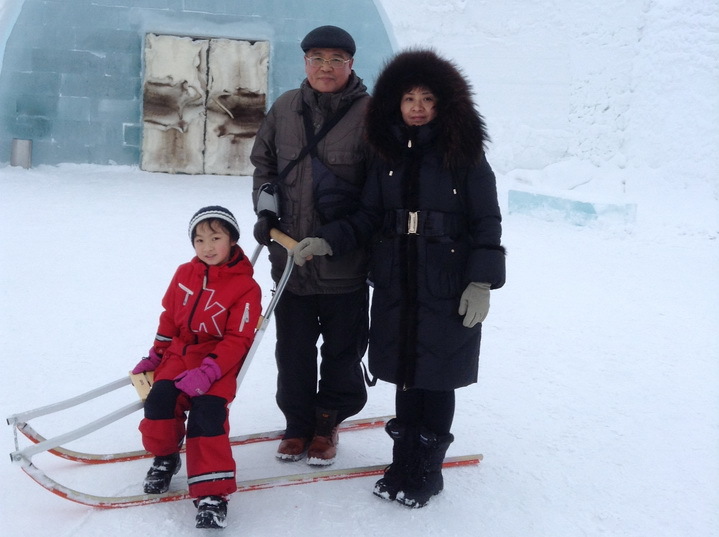 Xu and her family lived in Sweden for three years when they decided to head to Beijing in 2015. The family’s search for their school wasn’t as smooth as most people would hope for. They wanted to enroll daughter Du Xin Yu, Grade 5 at the Swedish School of Beijing but wasn’t able to due to the school closing. Then Xu picked New Talent Academy, but her daughter wasn’t able to adapt. The family finally found SIBS. Their choice was based on the school providing them with a very cozy environment and delicious food. YCIS Beijing parent, Eike Westerholt, German, is the owner of Wan Lin Bicycle Tours while her husband is the general manager at an international company. The family has called Beijing home for two-and-a-half years and picked YCIS Beijing because of the family atmosphere, close-knit community, and not a large commercial school. The two children both attend YCIS Beijing, Anna in Year 6 and Paula in Year 1. How did the distance to the school factor in when choosing a school? Xu: It is a big factor for us to choose a school. We want to choose a school near to my home. Previously, we lived in Olympics village in 2015, later we rented a house at Houshayu near SIBS. Westerholt: When we were doing our research about Beijing, we knew we wanted to live somewhere central thanks to our previous experience living abroad in Tokyo and from previous visits to Beijing. Our main factor wasn’t proximity but rather a strong bilingual focus in Chinese and English as well as a small school community. Once we had found where we wanted to live, we looked for schools that satisfied those requirements, which YCIS Beijing certainly does! I think even if YCIS Beijing was further away than it happens to be, we probably still would have sent our kids there due to its curriculum and atmosphere. What type of transportation method do you prefer your child uses? And why? Xu: We have our own car that we use to drop and pick up my daughter everyday. 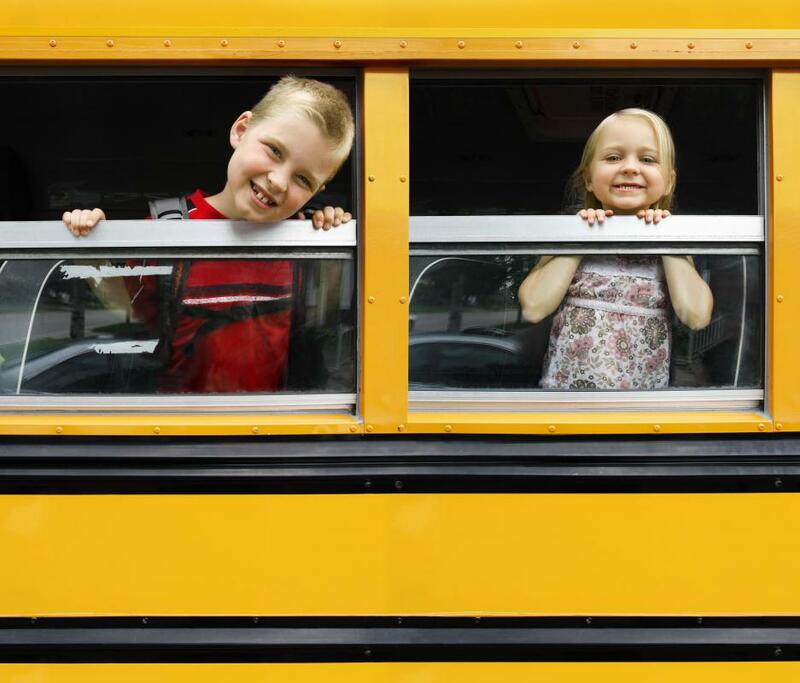 Westerholt: Our kids take the school bus. It’s not only very convenient, but the kids also really love it. When we first moved here, my younger daughter was only three years old when she started taking the bus. I know some parents might worry about such a small child taking the bus, but it worked well and she loved it. Both my daughters love chatting and playing with their friends in the morning on the bus. Of course the option is there to take them to school myself and pick them up in the morning, but this is more convenient and the kids love it. How did your family adjust to the commuting? Xu: We used to live near the Bird’s Nest and the traffic was horrible, and we had to wake up very early and this was very tiring. After moving to Houshayu, we now take only 8 minutes to get to the school and we have more time before and after school. Westerholt: In Germany, we had a carpool with another family who lived close by to get Anna to school. There wasn’t much of an adjustment here to taking the bus. It was an easy transition as the kids really do enjoy it! What safety concerns do you feel are addressed by the school when it comes to using school transport? Xu: I driving my own car is more convenient for me than school transport because it allows me flexibility with our schedule. Westerholt: Safety is obviously very important to us. The bus can’t enter our compound as there’s no space, so it’s important that the bus Ayi and bus driver make sure the kids cross the bike lane to the school bus safely, which they do on a consistent basis. Once on the bus, the Ayis do a good job to make sure the kids buckle up and are safe during the trips to and from school. Find your right school at 7th Beijing International School Expo (BISE) hosted by beijingkids and JingKids on February 18-19, 2017 from 10am-4pm at the Crowne Plaza Beijing Chaoyang U-Town. Find out more information about the event here. We suggest you take advantage of one of the few events in Beijing for families that are actually free – register now for a quick and painless breeze through the check-in line. Actually this the responsibility of the parents to picking up our children from school. But due to the busy schedule, they prefer the school bus and kids are also happy with this and enjoy it. I like your post and according to me the responsibility of the parents to picking up our children from school.